This episode of NXT felt like a farewell/new beginning kind of episode, as we saw a number of Superstars final appearance for WWE as well as a number of debuts and a new number one contender. 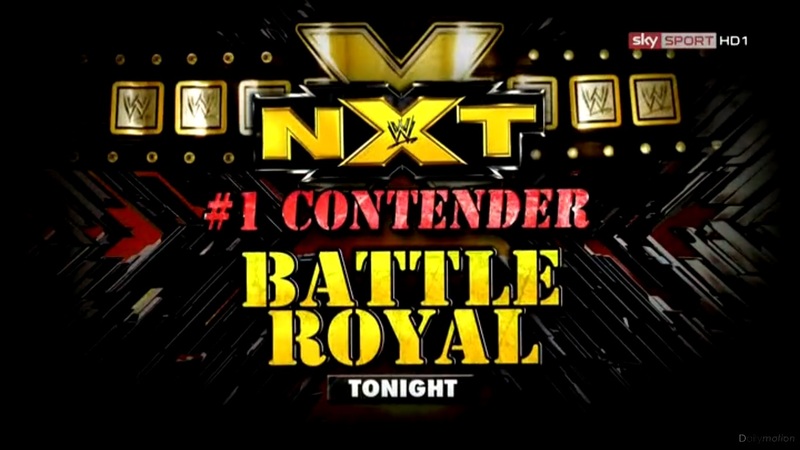 Now I don’t know about you, but I love a good battle royal and with the amount of talent in the ring this should have been a fantastic exciting contest, and for the most part it was. With Corey Graves, Bray Wyatt, Kassius Ohno, Adrian Neville, Bo Dallas and Mason Ryan all involved in the contest it was difficult to pick a winner from this bunch, which always adds to match of this type. The earlier stages of the match was dominated by former Nexus member Mason Ryan, who was given the hilarious nickname “Cardiff Colossus”, as he threw out over half of the competitors including Main Roster superstars Curt Hawkins and Yoshi Tatsu, as well as Briley Pierce and Sakamoto in their last appearance for WWE and the former El Generico, Sami Zayn. With the focus clearly on Mason Ryan’s power, it would seem that NXT is high on Mason Ryan, and personally though he is physically impressive, he doesn’t really offer a lot else and with Superstars like Ryback already occupying similar spots on the Main Roster I don’t really see where Ryan could figure. He was eventually eliminated by fellow Brit Adrian Neville. 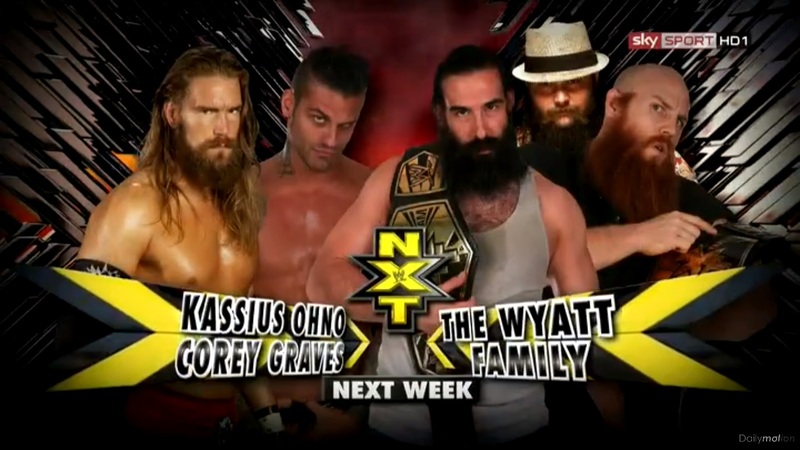 With Corey Graves and Kassius Ohno teaming up to eliminate Conor O’Brian only to themselves be eliminated by Bray Wyatt, this sets up nicely for their tag team match with the Wyatt Family next week, it’s been a quick build up and I’m interested to see how Graves & Ohno play out as faces, hopefully they keep the edge that made them so great to watch in the first place. Bray then sped about the ring delivering damage to the former NXT Tag Champions, Neville and Dallas, showing why WWE has decided to move him up to the Main Roster soon, until Neville got another surprise elimination with a huge enziguri. The final stages of the battle royal were enthralling with Neville and Dallas both hanging on to the ropes to stay in the match at various points. Neville particularly impressed me, with a number of small mannerisms which made it look like he was just about to be eliminated and raised the final moments of the contest. As the two exchanged blows it was clear who the crowd was behind, cheering Neville and booing Dallas, and I have to say I agree. Although, I believe Dallas is a talent young wrestler, I can’t see him ever progressing past a mid-card spot within WWE. Therefore it was even more surprising when Neville missed his British Airways finishing move and Dallas through him out of the contest. Big E Langston vs. Bo Dallas will be an interesting contest, but doesn’t quite have the same feel as Langston vs. Adrian Neville for me. Langston was in action earlier in the evening against the departing Derrick Bateman. The match was quick squash match with Bateman only getting a little early offence, including a nice front kick in the corner before Big E ploughed him down and hit Bateman with the Big Ending for the win. As usual Langston went on to hit his finisher again for a count of five which the audience lapped up. With Langston appearing more and more on Raw and Smackdown it can only be a matter of time before Langston drops the title and disappears from NXT altogether. Elsewhere, there was a rare appearance from Stephanie McMahon, who hasn’t been seen on WWE TV since the Hall of Fame ceremony. The Billionaire Princess was there to announce the brand new NXT Women’s Championship and a tournament for the belt starting next week. It is clearly a good idea to introduce the title as it gives the younger competitors something to work for and build storylines around. It will be interesting to see who goes on to eventually win the belt with the early front runners being the likes of Paige, Summer Rae or Emma. Speaking of Emma she was also in action against a departing Audrey Marie. Emma’s dancing gimmick seemed to get over with the Orlando faithful with plenty joining in with her strange arm movements, however it’s worth wondering if WWE really needs another dancing gimmick, with the likes Fandango, Tons of Funk and R-Truth already occupying spaces on the Main Roster. The match itself was short and messy, with a number of awkward looking moments between the two. Audrey Marie should little to prove that WWE should not have released and she would’ve added little to the Diva’s division which needs stronger performers and characters to build it back up. Emma’s new submission finish, the Emma Lock was probably the best part of the match and was executed well by the young Australian Diva. 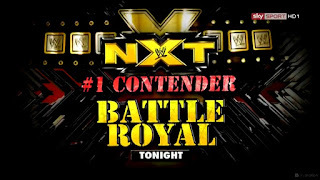 There was also two tag team squash matches on the show, the first featuring current NXT Tag Team Champions Luke Harper and Eric Rowan, the Wyatt Family taking on rarely used talents Sawyer Fulton and Travis Tyler. The Wyatt Family dominated the match that went no longer than a minute and a half with Luke Harper pinning Travis Tyler after a Discus Clothesline. Somehow, in such a short match there was an awkward moment where Sawyer Fulton dropped off Harper’s shoulders and attempted to reach for the tag, unfortunately he was way too close to Tyler and this removed any believability to the contest. Neither Tyler nor Fulton did anything to show me that they should move further up the NXT ranks anytime soon. The other Tag Team contest saw the debuts of Scott Dawson and Garrett Dylan, alongside their manager Sylvester LeFort. Dawson and Dylan play the classic Redneck tag team, whilst LeFort plays an over the top Frenchman in a Leopard print coat, imagine Cade & Murdoch managed by Rico and you’ve pretty much got this team. They faced the now release Brandon Traven and Vader’s son Jake Carter. Teaming up Dawson and Dylan seems like a good idea by WWE, as neither quite has that star power on their own, but as a team they seem to come into their own, producing hard hitting tag team action and could find a niche within the Main Tag Team Roster in the future. Their sit out spine buster/sit out axe handle combination finish was an impressive finish and I can see it getting over with the crowd. LeFort brought little to the team and I’m sceptical about the whole Frenchman leading Rednecks thing, as it just wasn’t done strong enough, although I’m happy to see how it plays out in the coming weeks. What did we learn from this week’s NXT? 2. WWE won’t regret any of its recent developmental releases. 3. Brad Maddox is hilarious on commentary.